Patient centered gentle dental care. Serving Boulder since 1989. See my website or call for more information. Services Raymond Roper, DDS is a dentist/dental office located in Boulder, CO. A dentist is trained to diagnose, treat, and prevent diseases of the gums, teeth, and jaw. 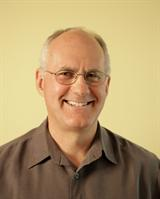 Please call Raymond Roper, DDS at (303) 447-2281 to schedule an appointment in Boulder, CO or get more information. I recommend Ray Roper, DDS, wholeheartedly. He is undeniably one of the most competent AND caring individuals I have ever met. An excellent listener, he is empathetic and kind. I have overheard him interacting with young patients, and have been impressed by the way he instantly puts them at ease while in the dental chair. His professional skills are outstanding, and he practices conservative dentistry, never selling a service that might not actually be warranted. His charges are very fair. He does not use expanded duty dental assistants, preferring to handle procedures himself, which I find immensely gratifying. His 2 dental hygenists and 1 dental assistant are all capable, delightful people whom I also look forward to seeing every six months during my check-ups. I have no reservations in recommending Ray Roper, DDS, and his staff to your family. I wish I had had Dr. Roper as my dentist during my childhood, which was rife with dental phobia! Very caring, pleasant staff in every regard. I have gone to Dr. Roper for 25 years and he and his team are top notch in every regard! Dr. Roper explains everything very carefully and is very attentive to my needs. He is soft spoken, kind, pleasant and professional in every way. He is absolutely top notch in every way!